The PWR1201L (0-40V 0-120A 1200W) is part of the Kikusui PWR-01 series of high performance, compact, wide-range Programmable Bench DC power supplies. 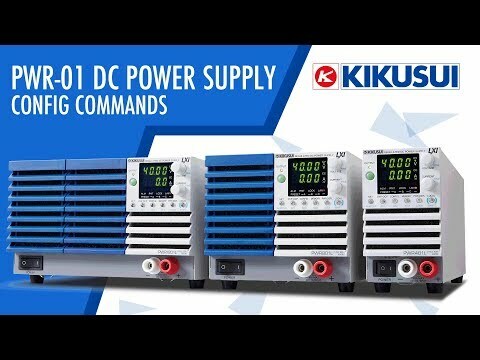 The series consists of 12 models in total with 4 maximum voltage outputs (L, ML, MH, and H) and 3 maximum power outputs (400 W, 800 W, and 1200 W). 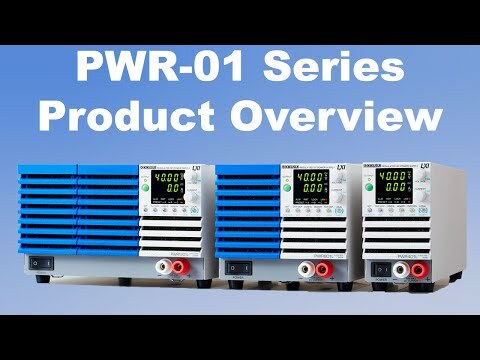 With the PWR-01 series you can set sequences with an embedded CPU as well as analogue control. The series is equipped with LAN (LXI), USB, and RS232C as standard interfaces that are essential for system integration. The PWR-01 also features front-facing output terminals in addition to the rear terminals, variable internal resistance, bleeder ON/OFF functions, CC/CV priority switching function, synchronised operation, various protection functions and programmable internal memory.